Thames Discovery Programme - Literary FROGS! Among the many talents of our wonderful volunteers, writing and publishing are not the least of them. This month sees two publications out which are the work of members of the FROG. 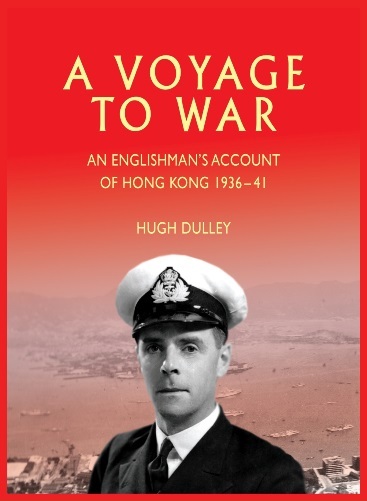 Hugh Dulley has edited ‘A Voyage to War: An Englishman’s Account of Hong Kong 1936-41’. Hugh’s father (Peter Dulley) and mother (Therese Sander) met in Hong Kong on New Year’s Eve 1935. Four years later at the outbreak of war, Peter, a weekend sailor, was called up in the Hong Kong Royal Naval Volunteer Reserve. He eventually graduated to command an ocean-going tug of 500 tons from Hong Kong to Aden. En route he called at islands still enjoying pre-war peacetime and navigated across the Indian Ocean using a sextant. In July 1940, Therese, who was eight months pregnant, was evacuated from Hong Kong to the Philippines, where Hugh was born. They then travelled to Australia after a short stop in Hong Kong, which was to be the last time she saw Peter. Collected here is Peter’s correspondence to Therese over a period of six years. Edited and condensed by Hugh, it paints a unique and often humorous picture of life in Hong Kong in the run up to and during World War 2. 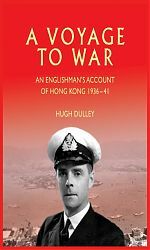 It is published to coincide with the 75th anniversary of the Battle of Hong Kong. 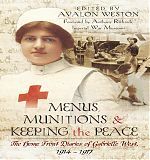 Sarah West has been instrumental in the publication of the diaries of her relative Gabrielle West; ‘Menus, Munitions and Keeping the Peace: The Home Front Diaries of Gabrielle West 1914-1917.’ edited by Avalon Weston. When Gabrielle West wrote diaries about her war to send to her much missed favourite brother in India she had no idea that a hundred years later they would be of interest to anyone. 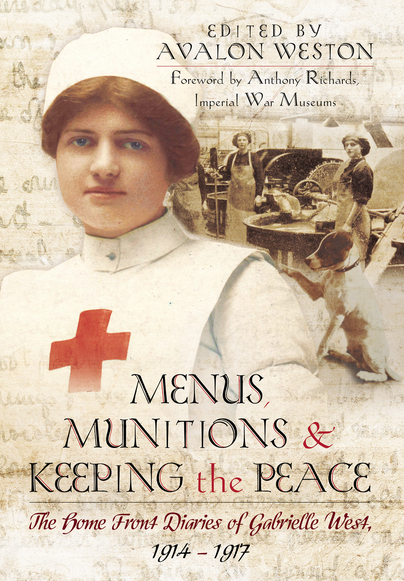 Soon after the outbreak of the First World War, Vicar’s daughter Gabrielle joined the Red Cross and worked as a volunteer cook in two army convalescent hospitals. She then secured paid positions in the canteens of the Farnborough Royal Aircraft Factory and then the Woolwich Arsenal, where she watched Zeppelin raids over London during her night shifts. Having failed a mental arithmetic test to drive a horse-drawn bread van for J. Lyons, she was among the first women enrolled in the police and spent the rest of the war looking after the girls in various munitions factories. Gabrielle wrote about and drew what she saw. She had no interest in opinion or politics. She took her bicycle and her dog Rip everywhere and they appear in many of her stories. She had a sharp eye and sometimes a sharp pen. At the end of the war she was simply sent home. She spent the rest of her life caring for relatives. She lived to 100 and never married. The First World War was her big adventure. These days, the reader might feel MI5 should worry about those detailed line drawings of the processes in the factories being sent by Royal Mail across the world … but a hundred years ago?